you may remember from my christmas recap post that the star of our christmas brunch was a big batch of homemade cinnamon rolls with a maple glaze. 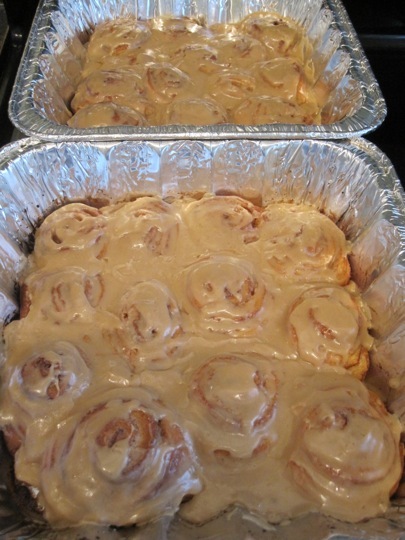 this was the first time that i had made cinnamon rolls from scratch + i have to say, they were really easy to create. it is slightly time-consuming, though, as the dough needs time to rise at various points in the recipe. i did as much as i could the night before, then finished up the final steps + baking the next morning. the results? even though i am not a huge sweets-for-breakfast fan, these are delicious! the cinnamon, sugar + butter are just a perfect combination. the glaze is also amazing, although i think the next time i make them, i’ll try making a savory glaze instead of the maple glaze – right now, i’m thinking i’ll make a bacon/caramel glaze to top them with. two of my friends have already tried this recipe, too, + had similarly amazing results. if you’re looking for a great (mostly) do-ahead recipe for your next brunch, try this out! mix the milk, vegetable oil + sugar in a pan. scald the mixture (heat until just before the boiling point). turn off heat + leave to cool 45 minutes – 1 hour. when the mixture is lukewarm to warm, but NOT hot, sprinkle in the yeast. let this sit for a minute. then add 2 cups of all-purpose flour. stir mixture together. cover + let rise for at least an hour. after rising for at least an hour, add 1/4 more cup of flour, the baking powder, baking soda + salt. stir mixture together. (at this point, you can cover the dough + put it in the fridge until you need it – up to a day or two, if necessary. just keep your eye on it + if it starts to overflow out of the pan, punch it down). when ready to prepare rolls: sprinkle rolling surface generously with flour. take the dough and form a rough rectangle. roll the dough thin, maintaining a general rectangular shape. drizzle 1/8 – 1/4 cup melted butter over the dough. then sprinkle 1/4 cup sugar over the butter followed by a generous sprinkling of cinnamon. starting at the opposite end, begin rolling the dough in a neat line toward you. keep the roll relatively tight as you go. next, pinch the seam of the roll to seal it. spread 1 teaspoon of melted butter in a 7” round foil cake or pie pan. cut the rolls approximately 3/4” – 1” thick + lay them in one layer in the buttered pans. let the rolls rise for 20 – 30 minutes, then bake at 375-400 degrees (see note below) until light golden brown, about 15 – 18 minutes. for the maple glaze, mix all ingredients together + stir well until smooth. it should be thick but pourable. taste + adjust as needed. generously drizzle over the warm rolls. go crazy + don’t skimp on the frosting. I have made these before! They are so good but I think you’re right about the glaze. I would likeb it if it was more savory too. Please post that bacon caramel glaze recipe once you make it! i will absolutely post the recipe for the caramel bacon glaze once i try creating it – sweets don’t come as naturally to me as savory things do, so hopefully i can figure out how to whip it up! These look wonderful! I adore your blog and appreciate the wonderful post about my felt holly wreath! How happy to hear it challenged you to create. I look forward to following you and I left you a sweet little note on that post. 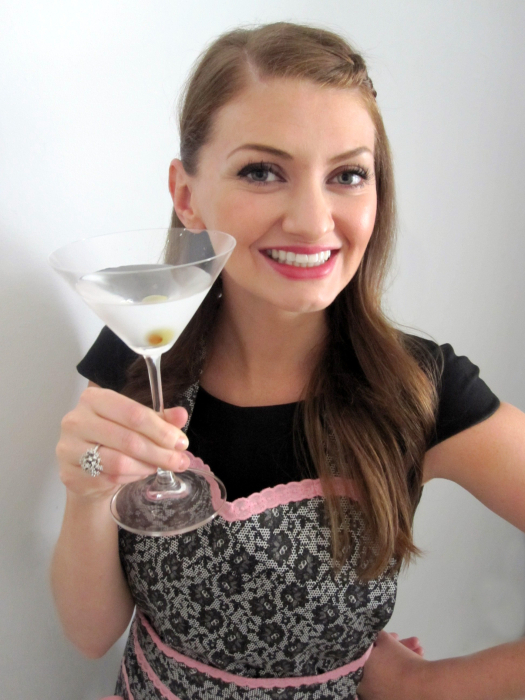 Happy New Year and cheers to the recipes you are going to share! Can;t wait for the next post. WOW! These look amazing! I would like to make these as gifts for people. 1) Can I freeze these and 2) Can I use maple syrup for the maple flavor? Thank you!